World Hearing Day 2019: Check your hearing! 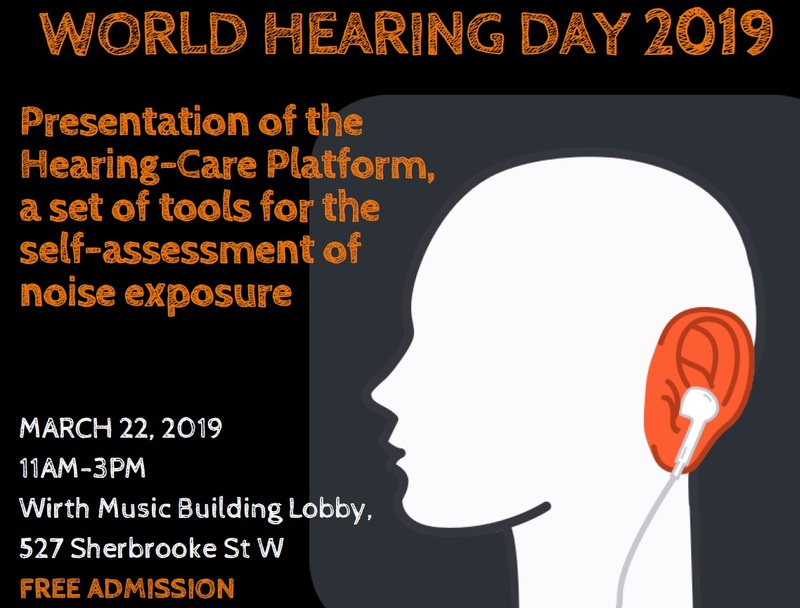 In collaboration with the Schulich School of Music, this full-day event offered by CIRMMT presents the Hearing-Care Platform: A practical and accessible set of tools for the self-assessment of noise exposure. The focus is on hearing conservation and hearing loss prevention and is particularly addressed at youths, young adult musicians, music teachers, audiologists, as well as the general public.